The Lady K became part of the downtown West Palm Beach skyline last Saturday night. She was privately chartered which included a buffet dinner during the Intracoastal cruise up to the new downtown public docks. Once there, the party then moved on to such hot spots as Bradley’s, World of Beer and Roxy’s Pub. 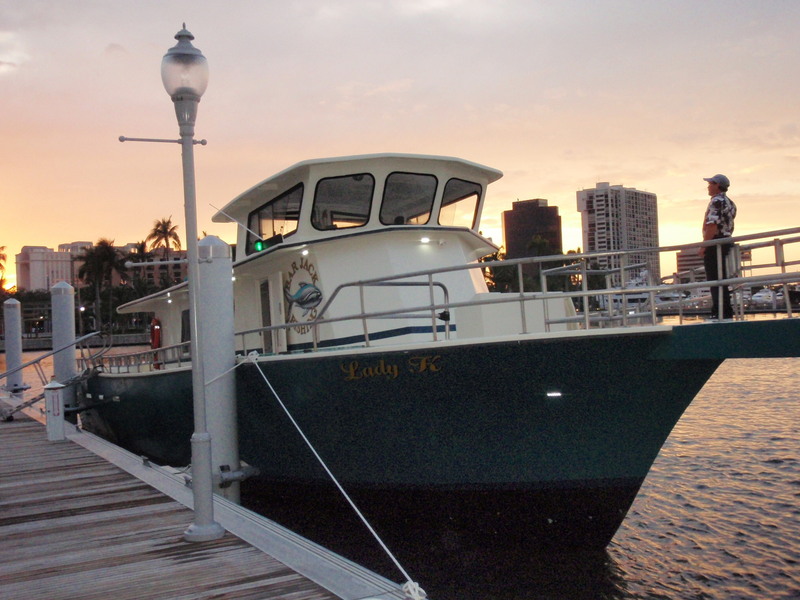 The Lady K accommodates up to 48 passengers and is available for private charters of any occasion. She is equipped with two separate men and women heads, seating for everyone and a large cabin perfect for setting up a buffet table. Have an IPod with your favorite party mix? Bring it along to plug into our stereo sound system. Night or day, anything is possible on the Lady K.